Mark B. Biagini, Vice President, is a licensed California Real Estate Broker and has been a sales and leasing agent at Biagini Properties, Inc. since 1986. He is a high volume agent who consistently closes over 60 leases and sale transactions per year. He is a respected member of Association of Silicon Valley Brokers (ASVB), where he was nominated Retail Broker of the Year for six years in a row, and was awarded the title for four years in a row, from 1996 through 1999. He has been a member of the International Council of Shopping Centers (ICSC) since 1987. 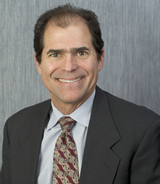 Mark has also provided expert witness testimony for various court cases and arbitrations in Santa Clara County. Prior to joining Biagini Properties, Inc., in 1986, Mark Biagini was a real estate agent for CPS Commercial Real Estate in Pleasanton, CA. He was responsible for the sale and leasing of office, industrial and retail space in the Hacienda Business Park, an 800-acre mixed-use project in the Pleasanton/San Ramon area. Mark graduated in 1982 as an honor roll student from the University of California at Berkeley with a B.S. degree in Business Administration with an emphasis in Real Estate, Finance and Accounting. Mark is active in his community: Former board member of FC Fremont Soccer, United Soccer Federation (USSF) National C level-coach, and youth and high school coach for twelve years. Hobbies include golf, skiing, road biking and philanthropy. Married since 1987 with two daughters.